WILMA Dash – May 16, 2019 | NC Race Timing and Running Events | Go Time! 2016 Wilma Dash Start Line from Go Time! on Vimeo. 2016 Wilma Dash Finish Line from Go Time! on Vimeo. The WILMA Dash is Wilmington, North Carolina’s ONLY All-Female 5K! The race is presented by WILMA Magazine. It is a great event for first-time runners, walkers, and for seasoned runners looking for a personal best. Create a Team and compete for team prizes to add to the fun. Going Beyond the Pink is a breast health and education initiative dedicated to offering educational programs and resources before, during, and after a breast cancer diagnosis. Their educational and wellness programs are built around the needs of the breast cancer community, but open to everyone seeking to improve their wellness and become their own best health advocate. In addition to educational programs, they offer post-diagnosis support resources like wigs, bras, breast prostheses, hats, scarves, and care bags. 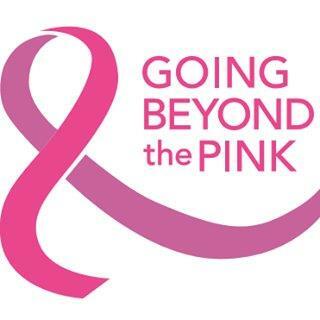 Going Beyond the Pink is a non-profit organization, operating for educational and charitable purposes under Section 501 (c)(3) of the Internal Revenue Code. Race Shirts will be guaranteed to participants who register by 11:59 PM on Sunday, April 21st, 2019. The shirts are available in Youth M and Female S-XXL cut sizes and are a Cotton/Polyester blend. Leftover shirts will be available to participants who register AFTER April 21st on a first come, first serve basis at packet pickup. The race course is through historic downtown Wilmington, giving you the views of the Downtown area which includes the Battleship, Bridge, and the award winning Riverfront. It is also very flat, fast, and stroller and wheelchair friendly! The Convention Center garage will be open. The rate is $3/first hour, $2/hour thereafter to a max of $13. There will be an attendant on site. Each participant receives a ticket to the WILMA Dash After Party & Women’s Health Fair. The event is the area’s largest all-female 5K, featuring catered food, drinks, music, health screenings, fitness assessments, race awards, and much more. You can still join us from 4-9 p.m.
21 & Up: Suggested donation of $10 which includes entry, 2 drink tickets and food. Under 21: Suggested donation of $5 which includes entry and food. All proceeds go to Going Beyond the Pink!